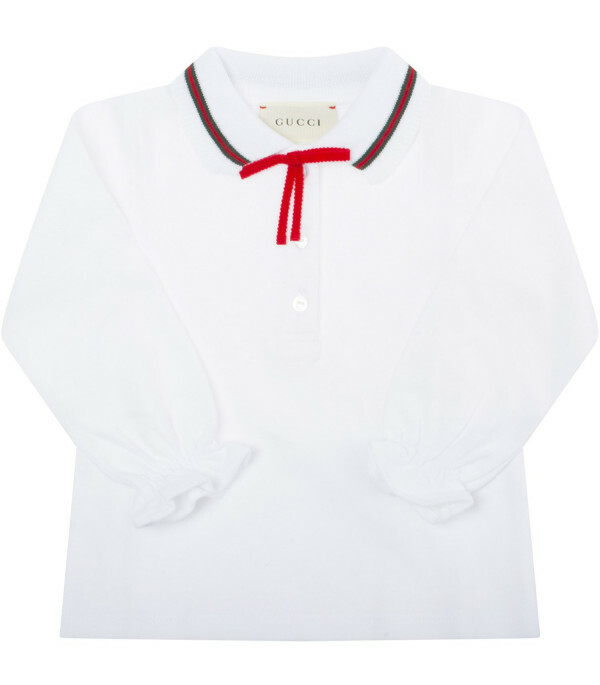 Color: White - Description: White polo shirt made from piquet cotton, with classic collar, embellished with red and green iconic Web detail, and long sleeves; flpa with frontal button and red bow and ruffled cuffs. 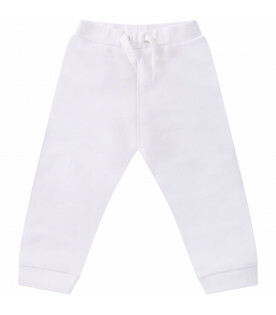 - Details: 96% Cotton 4% Elastan. Hand wash. 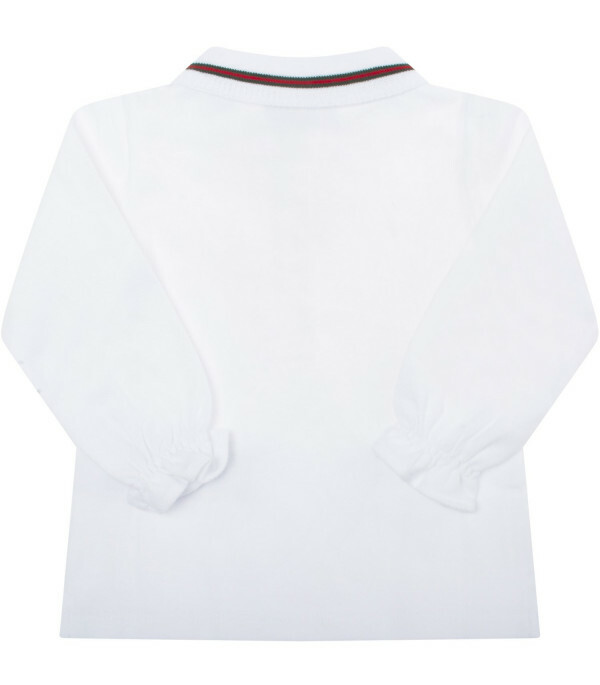 Description: White polo shirt made from piquet cotton, with classic collar, embellished with red and green iconic Web detail, and long sleeves; flpa with frontal button and red bow and ruffled cuffs. Details: 96%Cotton 4%Elastan. Hand wash.